pilot issue which has been enthusiastically received. of opportunities to promote yourselves in the magazine. 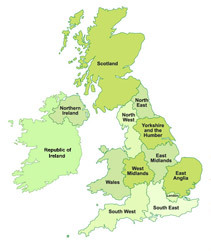 Click on the map to visit your region or click on the links at the top of the page. G-Up ezine have enjoyed 119770 page views so far.